A few weeks ago, we ran this post about a FREE pacifier and FREE Valentine’s Day Dr. Brown’s baby bottle at Babies R Us. We wanted to remind you that it is not too late to take advantage of this offer! If you spend $15 or more at Babies R Us between now and January 28, you can get a FREE baby bottle and pacifier! To get these baby freebies, you just need to print out this coupon and redeem it in stores. Who likes baby freebies?? If you do, you can get 5 FREE pairs of baby leggings! You just have to pay for shipping and handling! To get your baby freebies by mail, just select your 5 pairs of baby leggings and add them to your cart. When you checkout, enter the code ENBABY and your baby leggings will be completely FREE! 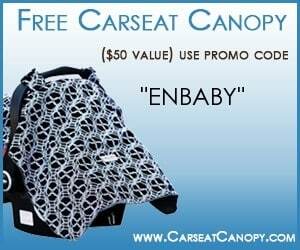 Hey parents, check out this incredible deal for a FREE carseat canopy! These baby freebies (AKA the fabulous car seat canopies) are valued at $49.95! 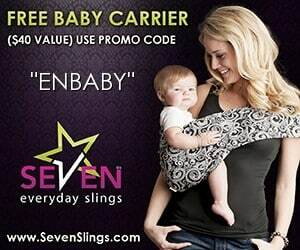 With the discount code ENBABY you will get yours FREE! Just pay for the shipping/handling charges. Is that an awesome deal or what?? Check out their sizing page to ensure that you get the correct size for your baby’s car seat. Be sure to enter the discount code at check out! Get Tons of Baby Freebies with Pampers Gifts to Grow! 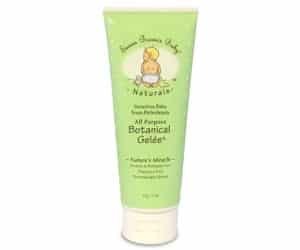 Are you a member of Pampers Gifts to Grow? We’ve run post for this in the past. But, in case you didn’t catch them, I’ll remind you how it works. With this program, you can earn rewards each time you buy Pampers products. Sign up is 100% free. 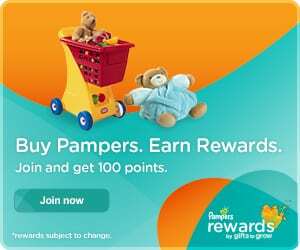 If you join Pampers Gifts to Grow rewards program today, you will receive 100 free points instantly to use as you wish. You can redeem the points for free rewards from Pampers. You can sign up to get a Nursing Pillow for free from NursingPillow.com when you click “Shop Now” at the website. You will have the option to choose from any of the nine, unique prints. Once you make your selection, you’ll automatically be directed to the shopping bag. Enter the promo code ENBABY to remove 100% of the cost of your selected Nursing Pillow. You will still have to pay the shipping fees for this freebie. For a limited time, you can upgrade to a Minky Nursing Pillow for only $5 more. These pillows make great gifts.